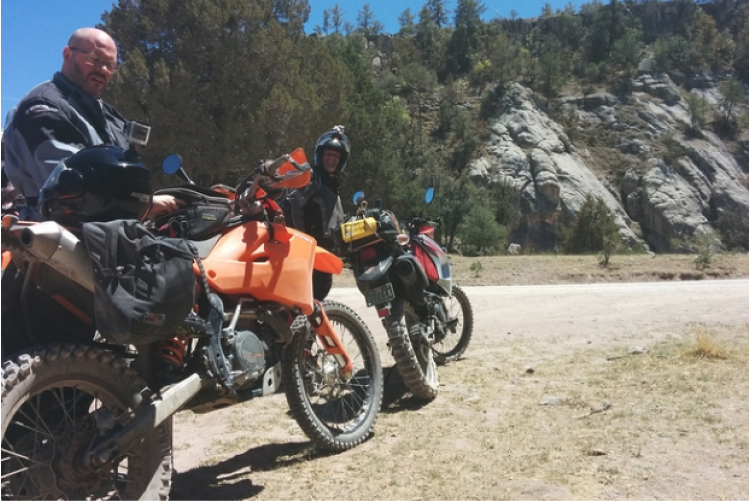 La Ruta Aventura Motorcycle TourA Mexico adventure like no other! 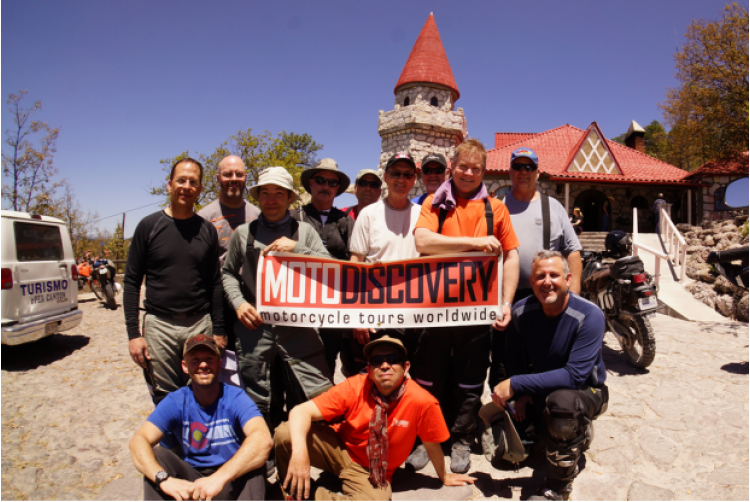 MotoDiscovery rental motorcycles include delivery and pickup, 11 days rental, and Mexico auto insurance. Tour starts in Douglas, AZ and ends in Tecate, CA. Roads are primarily paved and of varying quality with some gravel and unpaved sections. Need Rider Training? Click here to learn more! 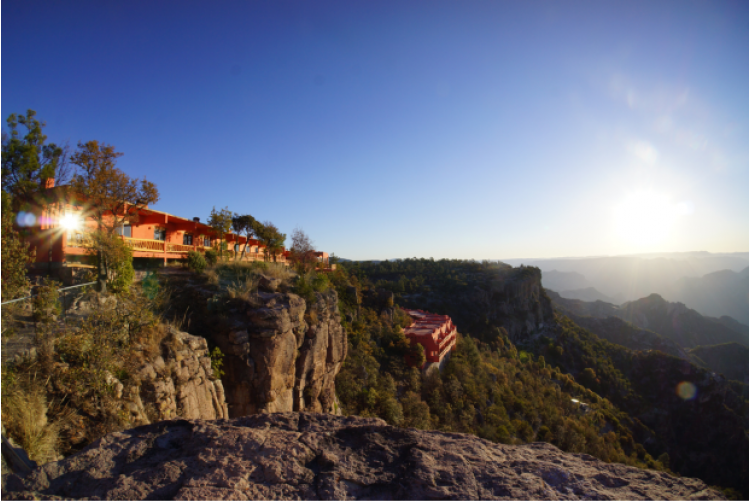 The Ruta Aventura crossing the Copper Canyon region to the Sea of Cortez and ferrying to the Baja Peninsula is a blend of paved and unpaved roads. For this reason, we suggest the minimum displacement be 400 cc or greater. Large adventure motorcycles demand skills and physicality in line with the weight and performance of the bike. Tires should at minimum be 50/50 (on and off road). One should have at least some prior off road experience and physicality. This is more than just a ride. Expect to learn of, and gain a deep appreciation for, the natural wonder of the region as well as the history and culture of its inhabitants. 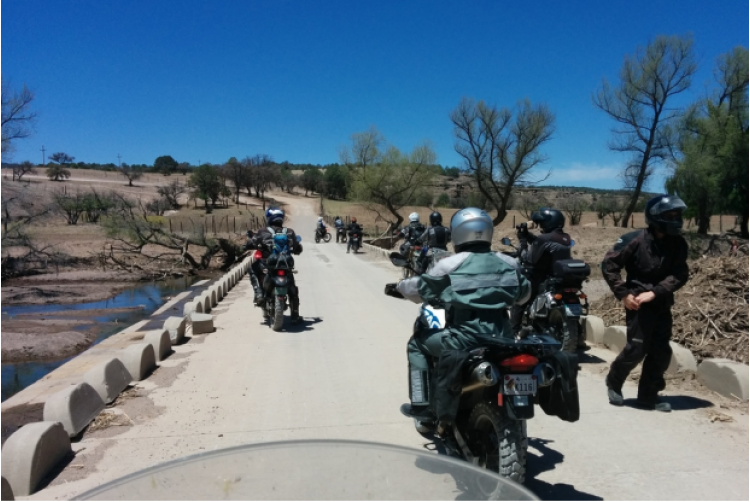 We encourage participating in one of the MotoDiscovery Adventure Rider Training Tours to tune your skills. You are also encouraged to call MotoDiscovery for consultation to determine if this is the right ride for you. 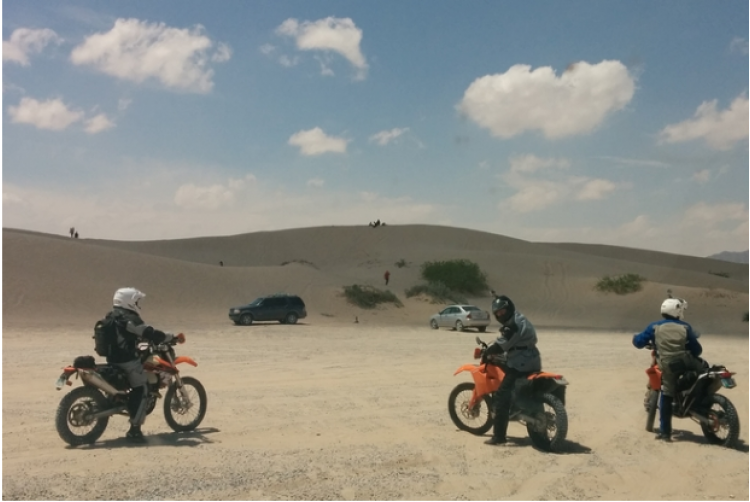 When it comes to Mexico, MotoDiscovery is the uncontested expert. 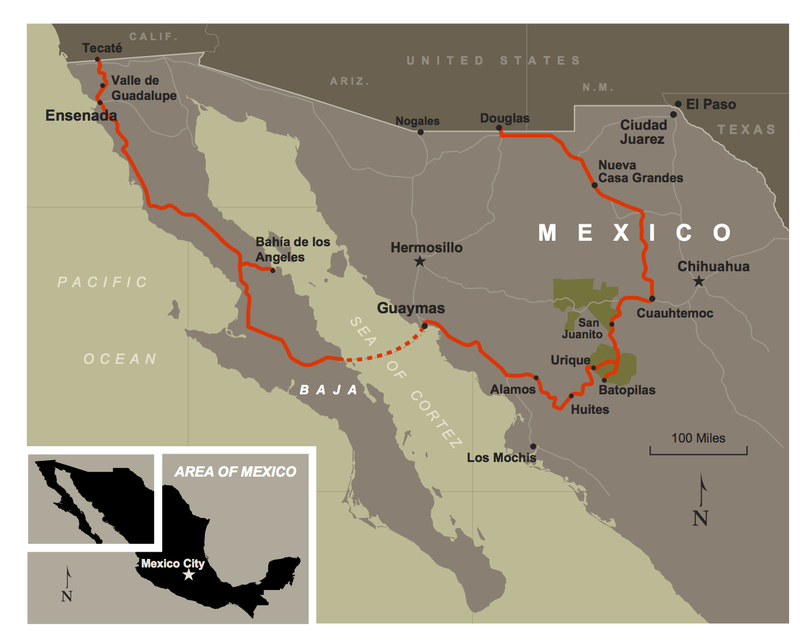 Starting out in 1981 as Pancho Villa Moto-Tours, we’ve hosted more riders into all parts of Mexico, than anyone. Smaller groups mean more flexibility and better service. The Ruta Aventura is limited to eight bikes plus staff. The overnight ferry crossing from mainland Mexico to the Baja is always a fun time. The Baja casts a spell on you. It is a place of legendary endurance racing, a favorite for expats looking to escape the winter and stunning desert and mountain beauty that contrasts with the blue waters of the Sea of Cortez and the Pacific Ocean. The roads. 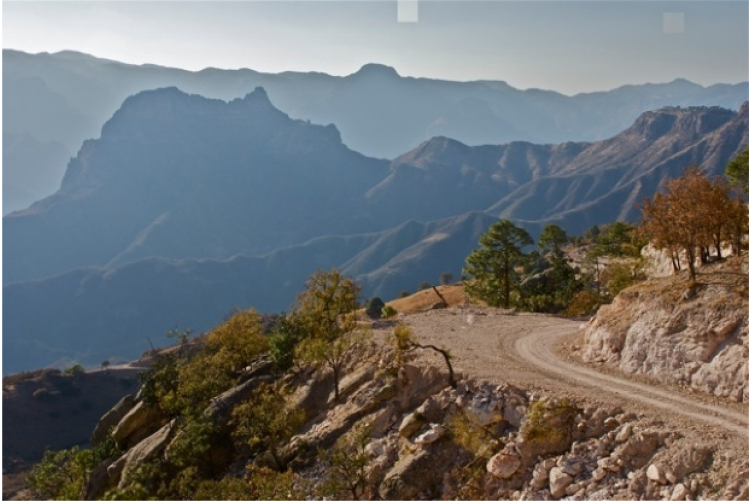 For today’s adventure touring enthusiast the roads of the Sierra Madres and the Baja have it all. River crossings, canyon descents and ascents, fantastic sporting paved mountain curves and just the kind of challenge that we all long for. We’ve been riding Mexico from the beginning. No one can come close to our experience there, the depth of our connections and knowledge. We consider this area safe, however, that is not to say it is without risks. Our experiences here have always been positive. 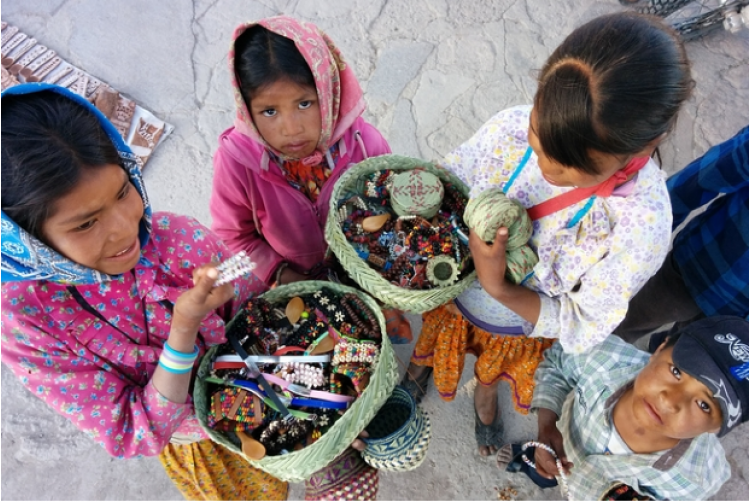 The Sierra Madres with all of its great beauty is also challenging. It is the “wild west” and for everything that could cause concern, it is also why adventurers are drawn here. We will be the first to advise you if we feel something presents a danger. To offer more flexibility and better quality service, the Ruta Aventura is limited to eight bikes plus staff. You will appreciate this smaller group concept. The exception to this will be for private or custom tours where that decision is made by the organizer. What can you tell me about your rental motorcycles? Our fresh Suzuki DRZ 400S rental motorcycles are ideally suited for off-road trails and ribbons of desert asphalt and are well suited for this event. The nimble, liquid-cooled DRZ is a time-proven dual-sport motorcycle - lightweight, with an impressive amount of torque to tackle with confidence all phases of the training both on and off-road. Our street-legal DRZs come equipped with knobby DOT tires (Dunlop 606 or equivalent) aluminum skid plates and radiator guards, tank bags, hand guards and small tail bags. Because we provide a support vehicle, your bikes will remain unencumbered by your gear to maximize your training and touring experience. The DRZ400 normally has a seat height of about 36". We can provide bikes with lowered suspensions and seats upon advanced request. The price includes delivery, (11) rental days and $25/ day insurance. Always a hard question to answer as it depends largely on your skills and experience. This is not a tour for the novice touring enthusiast. Off road riding skills are important. Getting some training can help and we can direct you to private coaches who can determine if you are up for it. And if you are not, you still benefit from added riding education and skills you learned. Is this a good tour for couples? We’ve had couples but this will not be a good time to introduce your pillion passenger to the world of adventure touring. The support vehicle is open to non-riding participants and your passenger can be free to mount up with you or ride as the situation demands. This is a great experience that with the right spirited partner, you would enjoy sharing. What is the best bike for the Aventura? Again, this depends on your skills. We love the smaller bikes in the 650 cc range and if you are riding a mega machine such as the 1200GS BMW there will be moments where having a lighter bike would be the better choice. If you are experienced, physical and accustomed to riding in adverse conditions off road on the bigger machines, then you will do OK. But if you show up with a large bike, we beg that you have the skills and the physical means to match the added weight and performance...and to ride it safely. No. We have designed an itinerary that provides everything from luxury to the basic. Yes. We will have a 4X4 vehicle capable of handling your excess gear and luggage and transport a bike if required. Extra space is usually available for non-riding participants but you should contact MotoDiscovery to inquire about space status. Can you provide support and guidance for a private tour? Of course. We can even do it for a solo traveler. There are few places in the world where we don’t offer such services. Costs are determined by the number of participants and any inclusions that are important to you. Contact MotoDiscovery for information or alternatively, fill out our Custom Motorcycle Questionnaire. How do you get to Baja? We rely on the services of an overnight ferry. This forces us to build in some flexibility in our itinerary as sailing schedules can change, even at the last minute. It isn’t a Love Boat but we find it lends well to the adventure aspects of this event. 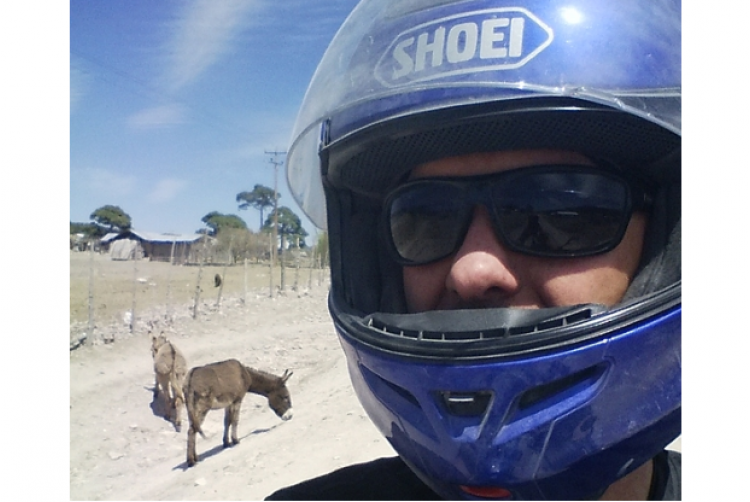 Will we ride off road in Baja? There will be some opportunities, however, we are not billing this event as a Baja 1000 kind or ride. We’ll save that for another tour. But there are some options that can be exercised and that will depend largely on the makeup of the group. And while we are there we will try and get away and see some gray whales too! Baja is special. You won’t hear complaints. We dine well. And on the Baja seeking out the best fish tacos becomes a compulsion. 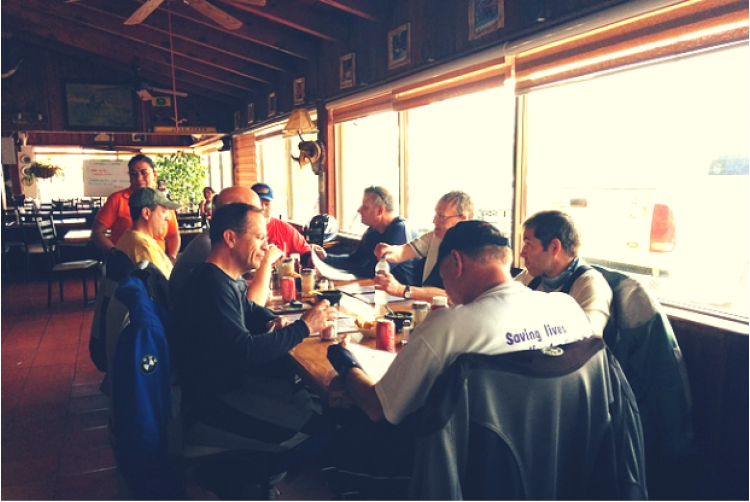 MotoDiscovery has long considered dining an important part of the experience...even when it is an adventure tour! Right now. Getting your early commitment is important in order that we can secure reservations, line up all the support and get the ferry reserved. You can help by networking with your riding friends.